José Saramago’s Blindness (Harcourt Brace) grabs you from the first page and doesn’t let you go. The 1995 novel by the late Portuguese author is one of the most acclaimed works in literature. Saramago won the Nobel Prize in Literature in 1998 and Entertainment Weekly named it one of the 100 greatest novels ever. The book was made into a 2008 movie with Julianne Moore, Mark Ruffalo and Gabriel García Bernal. The novel begins in an unnamed city when a man is suddenly struck blind while driving in traffic. Soon, everyone he meets, including an eye doctor, becomes afflicted with “white blindness.” Hundreds become blind and are quarantined in a mental hospital. People are left starving or are shot if they approach those who can still see. Chaos erupts in the ward and the city. But one woman — the doctor’s wife — retains her vision and is able to see the destruction around her. She leads the way for a small group to find some sanity. None of the characters are given names or any details about their lives. At times, I would have liked to have known more about them, but I understand that Saramago did this intentionally to focus on their present circumstances. I was intimidated by this book, but it proved to be a gripping read, even though Saramago writes in long paragraphs and uses very little dialogue. (The book’s translators, Giovanni Pontiero and Margaret Jull Costa, deserve credit for a great job.) The novel contains some disturbing images, including a scene in which a group of women are brutally raped. But that chapter also ends with a moment of great humanity. 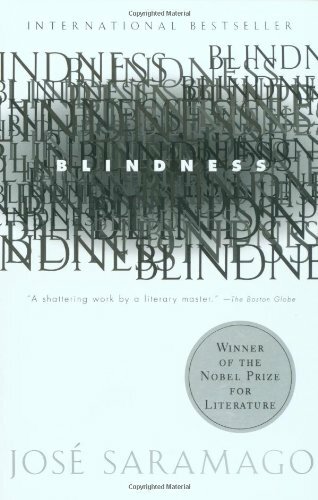 Blindness is an extraordinary book, a novel that makes you hate and believe in humanity at the same time. You will never forget this novel, even after you’ve read the last page. 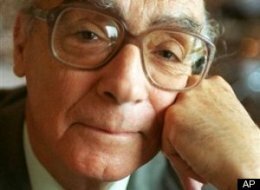 More about José Saramago: Saramago‘s other books include The Gospel According to Jesus Christ, which drew controversy for its anti-religious views; Cain, a retelling of Biblical stories; and Raised From the Ground, which depicts the lives of Portuguese peasants. Source: I checked this out of the library. And that’s a wrap of my series of classic Latino novels. Check out my other list of classic novels by Latinas.